The Trump regime announced on May 31 that it will impose a worldwide 25 percent tariff on imported steel and a 10 percent tariff on imported aluminum. President Donald Trump had announced these tariffs back in March, but had held off implementing them supposedly to negotiate “more favorable” trade terms with other capitalist countries. This regime has already imposed separate tariffs against China. But now the U.S. president has gone ahead and imposed new taxes on these imported products worldwide. The U.S. Constitution gives Congress, not the executive, the power to impose tariffs. Trump is bizarrely calling these tariffs “national security” measures to cover his illegal actions. The Guardian article continues: “The French president, Emmanuel Macron, called the U.S. tariffs illegal and a mistake, while the Canadian prime minister, Justin Trudeau, issued an immediate like-for-like response — announcing tariffs of up to 25 percent on U.S. imports worth up to 16.6 billion Canadian dollars, which was the total value of Canadian steel exports to the U.S. last year. The tariffs will cover steel and aluminum as well as orange juice, whiskey and other food products. 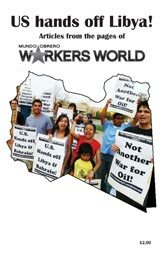 Many U.S.-based multinational corporations, whose profits depend on the exploitation of workers around the globe, voiced outrage over Trump’s move. Corporate servants like Sens. Mitch McConnell, Bob Corker, Lamar Alexander and Patrick Leahy, among many others, all voiced their opposition to Trump’s tariffs. In March, when these tariffs were first announced, the leadership of the Steelworkers union hailed #45 for supposedly “protecting American jobs,” even though most of the benefit would go to nonunion shops like Nucor Corporation. Much to the USW’s horror, the president has refused to exempt Canada, threatening the jobs of many of USW’s 225,000 Canadian members, including many steel and aluminum workers. Of course, Boss Trump has relentlessly attacked workers’ unions by supporting the anti-union Janus case before the Supreme Court and by attacking teacher unions. Not surprisingly, by raising prices on these metals, which are used to make a huge number of products, the tariffs threaten far more U.S. workers’ jobs than they will save. In every sense, Trump is an enemy of working people everywhere. 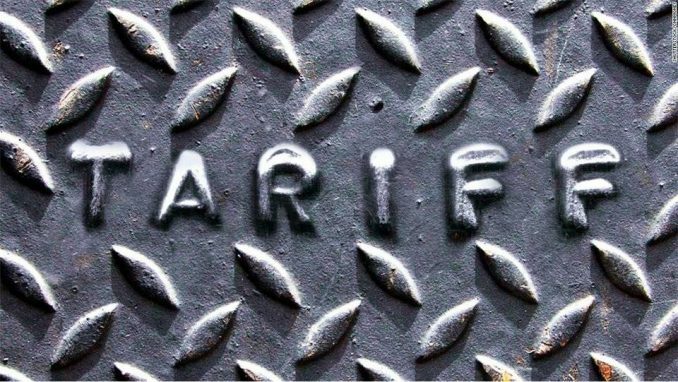 This tariff hike enrages U.S. capitalist partners, sparks opposition from many huge corporations and their politician minions, and will rob many workers, some of whom are Trump voters, of their jobs. So why is he doing it? A May 31 article in the pro-business Bloomberg magazine provides an answer: “Trump’s hope seems to be that the threat of tariffs gives him leverage to get the cooperation he wants on European defense spending and sanctions on Iran. U.S. Treasury Secretary Steven Mnuchin recently told the U.S. cable news network CNBC that President Trump would factor military contributions to NATO into the application of a 25 percent tax on imported steel and 10 percent on aluminum. “One in every two jobs in German industry (and one in every four jobs generally) is directly or indirectly related to German exports. Trump’s threat may spur these export interests to pressure Berlin for more German (and European) cooperation with the U.S. on Iran sanctions or defense spending — whatever it takes to return to business as usual. The U.S. war industry stands ready to reap billions in profits if Europe is forced to purchase high-priced planes, tanks, drones and other hardware. And, of course, U.S. Big Oil favors Trump’s sanctions against Iran, which help prop up global oil prices and force workers to pay more at the pump. Since taking office, Trump has become the number one salesman for the U.S. weapons industry, openly boasting of selling missiles, aircraft and other arms to Saudi Arabia, Egypt, Israel and dozens of other countries. The war industry reaps huge profits from these sales for products, whose only purpose is to kill and destroy. But they provide fewer jobs overall than civilian industry does. As a May 2017 report by Brown University’s Watson Institute indicates: “Military spending creates fewer jobs than the same amount of money would have if invested in other sectors. Clean energy and health care spending create 50 percent more jobs than the equivalent amount of spending on the military. Education spending creates more than twice as many jobs.